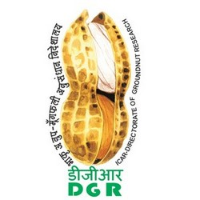 Directorate of Groundnut Research Recruitment 2018 Job alert both Fresher and Experienced can get Directorate of Groundnut Research recruitment 2018 updated on January 10, 2018 notification on recent Directorate of Groundnut Research recruitment 2018 openings across India. This is an exclusive page updated on 10.01.2018 for the latest recruitment notification nrcg.res.in from Directorate of Groundnut Research 2018 it contains both active and recently expired Job openings and recruitment notification from Directorate of Groundnut Research 2018. Age Limit : Minimum and Maximum age limit is 21 to 45 years. How to Apply DGR Vacancy : Interested Candidates may appear for Interview along with along with Original & self-attested copies of all relevant documents, a passport size photograph at the time of Interview. Venue of Interview : ICAR-DGR, Ivnagar Road, Junagadh.